Research programme focused, especially, on various subjects regarding funerary or sacrificial practices of Bronze and Iron Ages in World. In the next time we propose to extend the area in the other countries. In addition, important issues were raised concerning the relation between necropolises and settlements or cult places. 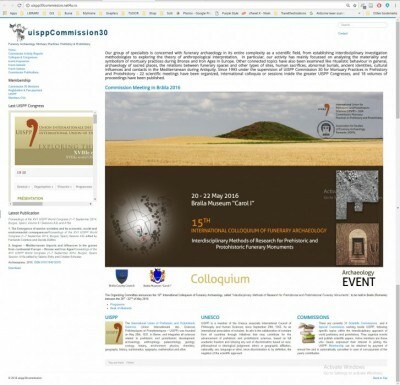 On various occasions there were organized round tables on topics of general interest like the cooperation between researchers working in the field of funerary archaeology in Europe or heritage protection legislation.